As a result I think history writers sometimes hyperbolize their characters and simplify their narratives. 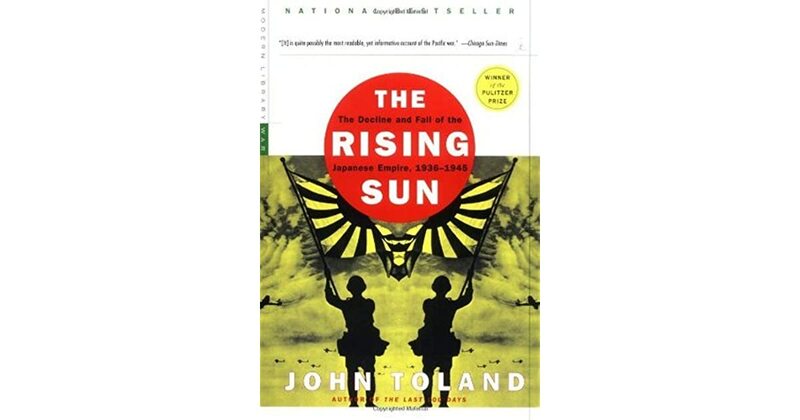 Toland was a great author, the book is very readable and engrossing, highly recommended if you're interested in the war in the Pacific. Others claim that Japan was fully willing to fight to the last spear-carrying civilian, and that the atomic bombs saved millions of lives on both sides by preventing the need for an invasion. Unfortunately, I was not aware of the size of this tome and I do mean tome. The book finds its beginning with the 1936 coup attempt in Japan and then moves quickly into the lead up to Pearl Harbor. It is the challenge of the study of history to see these conundrums, and know how badly they will come out, yet not seeing a way out, given the conditions of the time. The question for historians is whether or not this could have been averted. While political assassination was common, it seems unlikely that anyone would have dared laying a hand on His Majesty himself. Without oil Japan could not maintain its expanding territory. It all goes neatly in order year by year. The build-up to the attack on Pearl Harbour, and the frustration and miscues on both sides is very well told. Coming to the narrative this book is about Gekkukujo Samurai Insubordination that is. Army officers were able to hold quite exceptionally different views and there was no real effort to direct them. It's a lot more fun to read about big personalities, and it's much easier to explain events through the Great Men than through multiple, smaller causes. Don't all troops run a little wild? 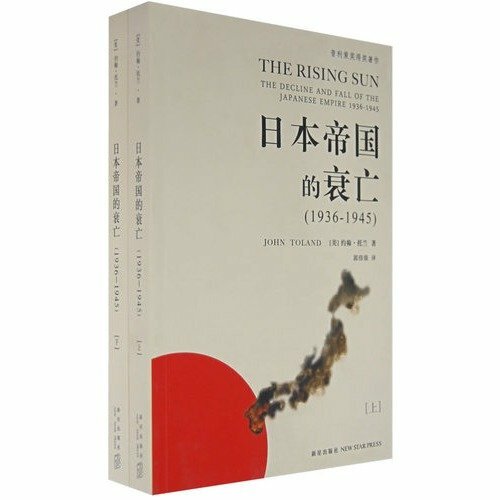 If there is a problem with the book, and it is a small one, the book seemed heavily weighted to tell the story of the fighting between the Americans and the Japanese. Harakiri, now this is exemplified many, many times in the text. Tojo's decision to attack Pear Harbor and the victorious march down the Malaysian Peninsular. It was the fear that Japan in partnership with Hitler and Mussolini would conquer the world that drove America to risk all. 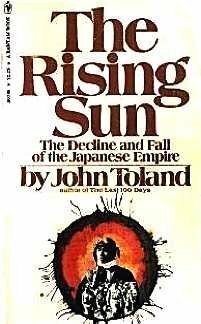 One of the things most striking about Toland's narrative is that he lays out all the blunders that were made by both Japan before, during, and after the war. This is the Pacific War from the Japanese point of view. The colonial way of life is over, whether the white man knows it or not, and all that remains is to kick off the shell of the chrysalis. He wasn't supposed to veto anything or offer his opinion, he was just supposed to bless the decisions that had already been made. Still, despite this an excellent read, though I wish it had found more to say about Yamashita and Homma. Concerned that the Gestapo was going to arrest him, Shirer fled Germany in 1940 and later wrote his seminal account, a history of the Second World War as seen through the eyes of Hitler and his henchmen. As thick as this book is, it's only one volume, whereas Ian Toll is writing three whole volumes on the entire war in the Pacific. Even if he does a good job, I would have preferred a snail's pace. But what resounds more than these pages of notes, is my belief that Tolland's greatest success is in what he didn't do: Tolland avoided the Cold War lens and the Great Man theory. They occupied Manchuria easily because China was too weak to defend it. The book's two signal features are its empathy for the Japanese military rulers and its manifold, cinematographic detail. It is hard not to feel for the ordinary Japanese soldiers and the civilians who were driven by a Bushido code to suffer unimaginable hardships. I felt it was balanced, neither pro-Western nor pro-Eastern. I personally think that most events in history are a result of greater, bigger forces I'm not trying to make this too dense, but see Graham Allison for more info. In democracies we all have a mandate to keep such people from power. The Japanese high command, both the Army as well as the Navy knew that they were waking up a sleeping giant. No expert, but certainly not unread about the war in the Pacific, I was rather blown away by the presentation, the other books I'd read being very much pro-Allies, anti-Axis. Owing to its prodigious detail and graphic narrative, the book will be compared per the publisher's suggestion to Shirer's Rise and Fall of the Third Reich; owing to its historical evasions, the comparison will be invidious; and owing to its military rather than political stress, the comparison is in any case inappropriate. The military, moral and political decision to drop the bombs is outlined and well done. The colored man knows that colonies and colonial-mindedness are anachronisms. . Having read a couple of his other books, I was pretty sure that Toland would be interesting. The Japanese were split into factions, just as the Americans were. He was transferred to the in in July 1942. Other battles too, but those named are covered in great detail. Japanese business moved in and Japanese populated it. Toland begins with the Japanese invasion of Manchuria and he does not sugar coat the barbarity of that conflict. Or that faking surrender so you could get close enough to blow up sympathetic enemy soldiers was a noble idea? While perhaps too detailed for some and too American-oriented for others, Toland's study has stood the test of time. They occupied Manchuria easily because China was too weak to defend it.